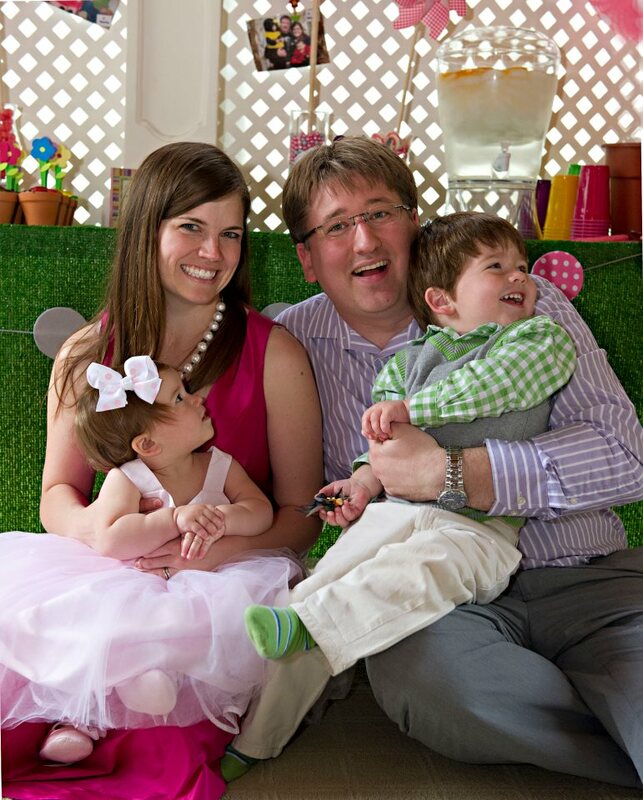 Today I’m here to share a little piece of my son’s 3rd birthday party with you! He LOVES animals of all kinds (zoo animals, dinosaurs, farm animals, aquatic animals, etc…). So, we decided that the theme of the party had to be “Party Like An Animal”! The actual party is tomorrow, but I thought that I would share a couple of the home-made items with you; the invitation and one of the party favors, the candy kabob. I love invitations that are interactive, so I knew that I needed to do something fun when making it. I decided to create a little pocket with the information about the party inside. I created a “cover”, printed it out and then sewed a piece of paper the exact same size to the back of the cover. I used string with the number 3 attached to the top of the card inside so people could pull out the invitation. Here is a photo of the card that you pull out of the cover. I used a grommet at the top for a little extra fun! 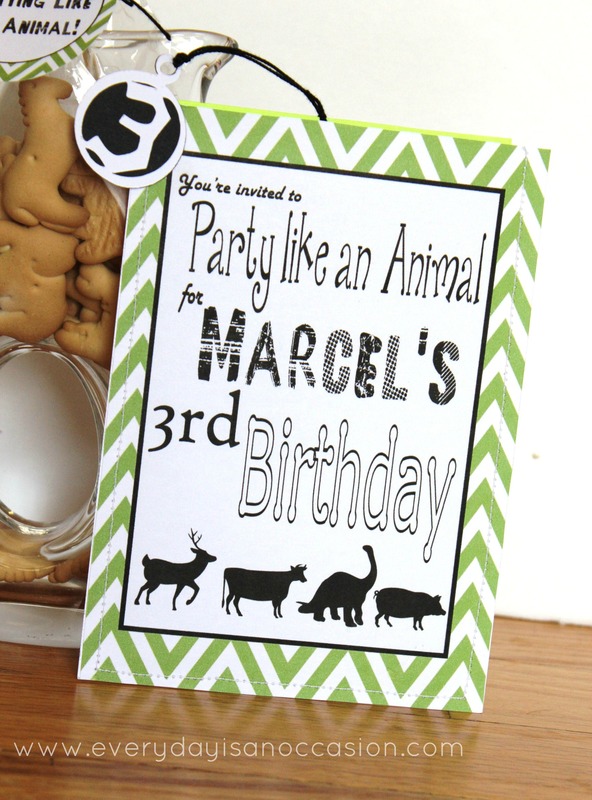 Photo corners hold the invitation to the bright green cardstock. As I said before, my son LOVES zoo animals, so you can be sure that we go to the zoo every week! We get a newsletter from our local zoo and in it they mentioned they needed some items for the animals. We thought my son’s party was the perfect opportunity to collect these items. Then when we go to the zoo he can bring the items for the animals! 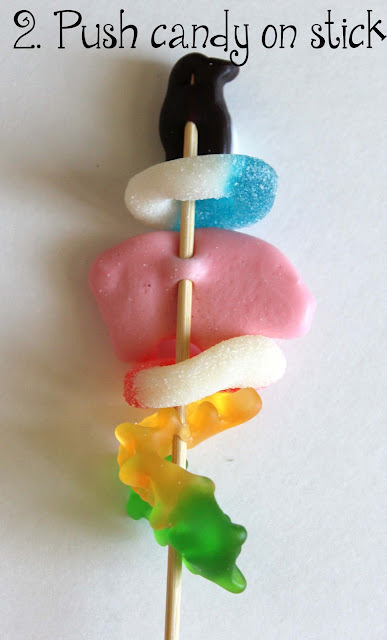 My children LOVE gummy candy and anything on a stick, so when I was thinking about what to do as a fun favor, this immediately came to mind! The perfect combination of a stick and candy…. These were such a fun and easy treat to make! Want to learn how to make some? 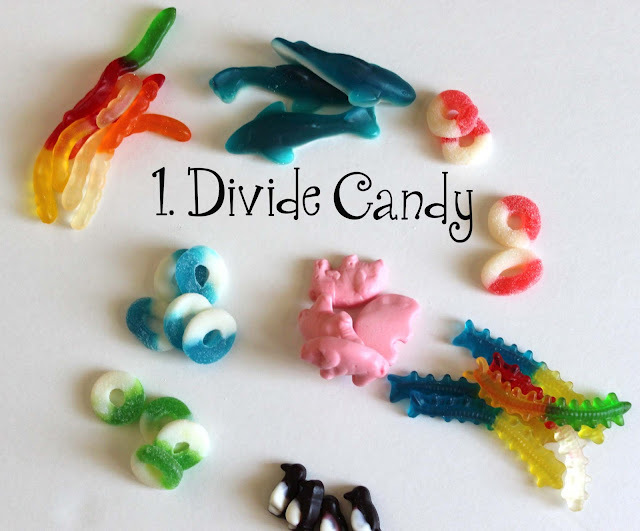 **A few tips: I divided the candy because that way I could see better what I had available. I would lay the candy on top of the stick at first to see what it would look like and then I would push the candy on the stick. The candy DOES NOT have to go all the way through the candy top to bottom..make sense?…Look at the penguin I stuck the stick in the middle of the penguin’s back (thanks to the hubs who helped me realize that tip..what a guy) I used pretzel stick cello bags and they worked really well. I did have to squeeze a few in, but they all fit nicely after the initial squeezing. 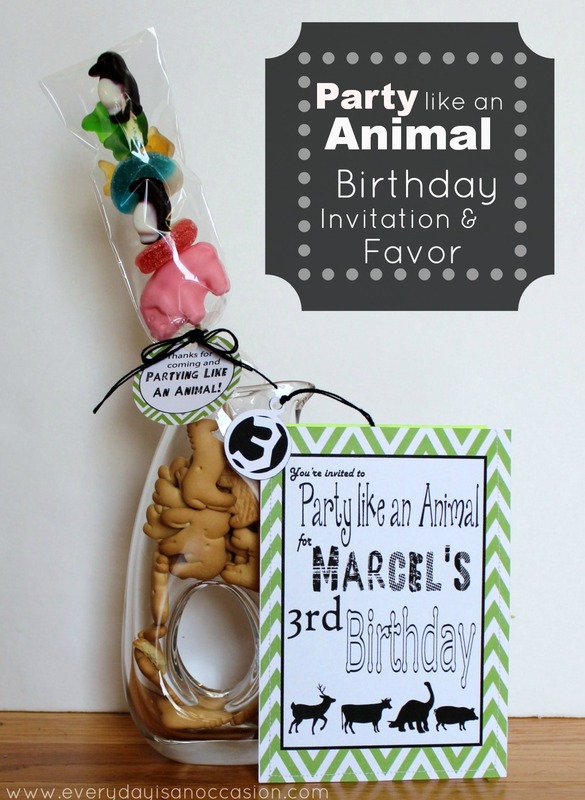 This entry was posted in Parties, Uncategorized and tagged Birthday Party Favor, Candy Kabobs, Party Like an Animal Birthday Party. LOVE this idea and the invite is just too cute! If you are ever find yourself in Southern California, you must make a point to go to the Santa Barbara Zoo in Santa Barbara, CA. We go often ourselves and it is one of the most lovely zoos I have been to and it is in my backyard! These are so cute Jill. 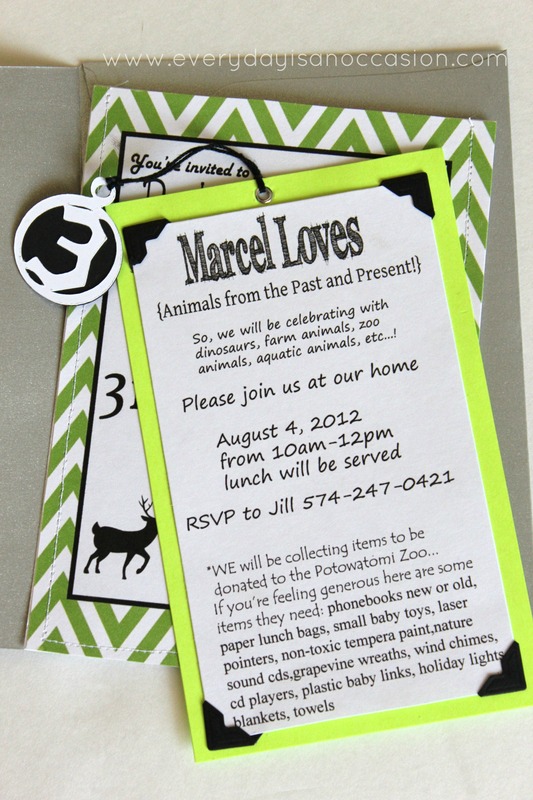 Love the animal kabob – such a cute idea. TFS and have a great week. 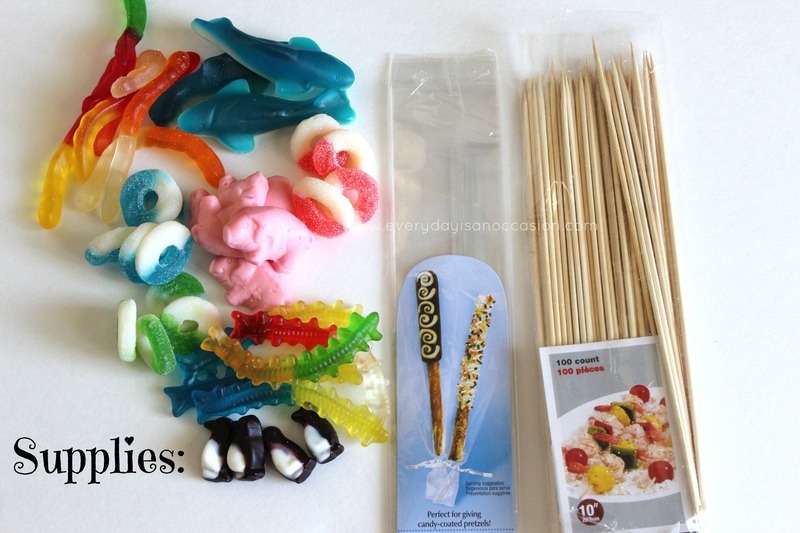 Super Cute & Yummy!LOVE the idea of the candy kabobs! HI Lauren! Yes, I made it myself with Photoshop. 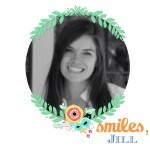 You could try and use Picmonkey.com They have a design section and it’s free! Very easy to use too! Have fun!! Don’t you just love pinterest!? A year later, and I’m looking at your cute pin! I live in Texas and love the zoo idea…but where did you find all that cute candy? Did you have to order it online? This is a wonderful idea! My question is what did you do with the animal crackers? What kind of container is that that has the circle in the center? Did you have this as part of the favor or invite? Where did you get the penguin and other animal shaped candy? I love this idea! Hi Tricia! I got the candy at a local candy shop called Wakarusa Dime Store. I’m pretty sure they ship! Check out their website. Thanks:)! Have a great Sunday! !